The UV specialist Mahindra & Mahindra has finally launched another promising product in the market aimed at compact SUV buyers. Christened the TUV300, this small SUV’s major target is the Ford EcoSport. which has so far enjoyed a very positive, unchallenged run in the market, right since its launch! But we have already covered the Mahindra TUV300 and EcoSport rivalry in detail so in this post we will be concentrating on its other potential rivals. Although these cars aren’t exactly direct rivals, as the Ertiga, Mobilio and Lodgy are MPVs while the TUV300 is more of a UV, they almost fall in the same price bracket. So how does the Mahindra TUV300 compare with these three MPVs? Find out here in our Mahindra TUV300 vs Maruti Ertiga vs Honda Mobilio vs Renault Lodgy spec sheet comparo. The exterior design is where the UV credentials of the TUV300 and the MPV credentials of the other three are most evident. Spy shots have all but revealed the exteriors of the small SUV from Mahindra completely. The design seems to be an evolution of the Bolero’s utilitarian exterior with hints of the XUV500 which lend the SUV a modern touch. The straight lines and high set bonnet give the TUV a very imposing SUV-like appearance. The other three, in stark contrast, are proper MPVs which is reflected very well in their designs. The Mobilio looks like an awkwardly stretched out version of the Brio, while the Lodgy looks very bulky beyond the B-pillar. 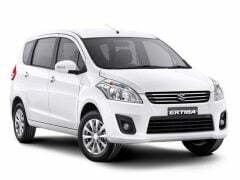 The Maruti Ertiga is the easiest on the eye among the three MPVs. 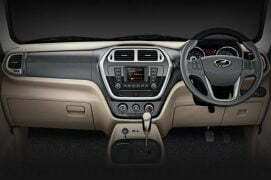 The interiors of the TUV300 are expected to be modern and quite the opposite of its utilitarian exterior. A combo a black and beige complete with beige upholstery. 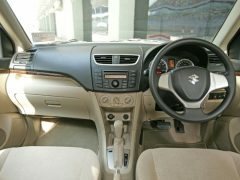 The Ertiga’s interiors offer very high levels of quality and fit and finish, but the light colour scheme is a bit monotonous. Lifted straight off the Honda Brio, the Mobilio’s cabin is a huge letdown in terms of design and quality. 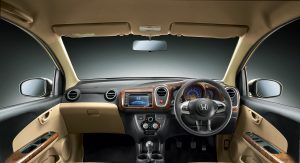 The materials used are not up to the mark and it does not offer the premium feel a car costing around 10 lacs should. Even the Lodgy’s cabin gets a few bit which feel cheap, but overall quality is good and it is nice and roomy on the inside. As is the case with most new Mahindra products, the TUV300 also comes loaded with a gamut of features like a touchscreen infotainment system with USB, AUX and Bluetooth, steering mounted controls, parking assist with rear camera, etc. 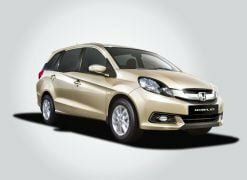 Barring the Ertiga, the other MPVs get a touchscreen system and reversing camera. All cars get dual airbags and ABS on the top spec trims. 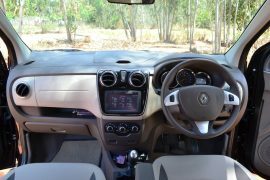 ABS is standard on all trims of the Renault Lodgy. While the MPVs get three rows of seats with a capacity of 7-8 persons, the TUV300 gets a 5+2 layout with two jump seats place behind the second row. 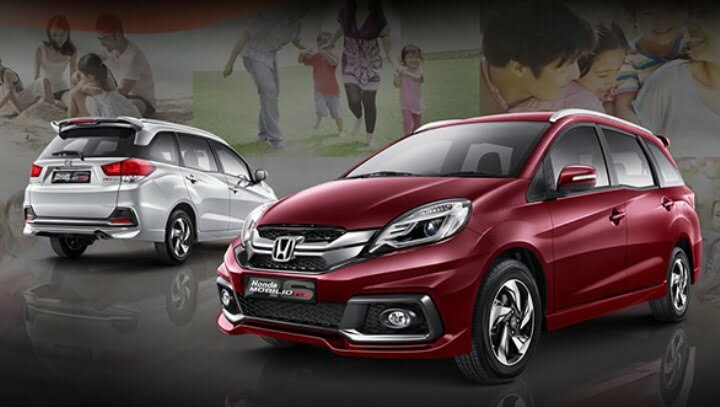 The Ertiga and Mobilio are available in petrol variants as well powered by 1.2 litre units. 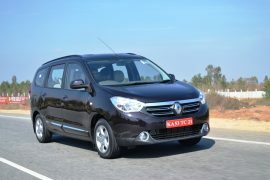 The Lodgy’s 1.5 litre diesel is available in two states of tune- 85 PS and 110 PS. None of the MPVs get an optional automatic transmission, whereas the TUV300, which is available only with a diesel motor, benefits from an AMT. 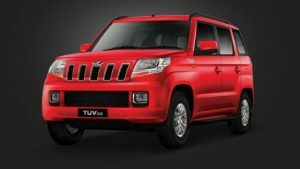 The Maruti Ertiga, Honda Mobilio and the Renault Lodgy will not be direct competitors to the Mahindra TUV300. But owning to similar pricing, the TUV could offer some competition to these MPVs. Mahindra’s newest offering might not score too well in terms of space, but feature-wise and design-wise it is right up there and maybe even better than the other three. As always, pricing is a crucial factor and it is here again that the TUV300 scores well! The TUV300 appears be a good value for money product and is sure to give its rivals a tough time. So, what do you have to say about our Mahindra TUV300 vs Maruti Ertiga vs Honda Mobilio comparison here?